For consulting firms, agencies, boutiques and corporations, Mark has applied his passion for intelligent design to the education, technology, health and entertainment industries. Mark holds a degree in Mayan Archaeology from the University of Texas. He has a passion for studying how cultures both ancient and modern interact with and adapt their environments for efficiency and usability. Mark is particularly interested in emerging technology and exploring new patterns in interface, including multi-touch devices and motion/gesture control. He is a firm believer in research and testing as core elements of user experience design. In addition to designing interfaces for use by others, Mark enjoys creating experiences for people through his photography and music. When he’s not crafting experiences, Mark spends his time with his wife and two sons building Lego or watching animated films. Mark’s other interests include 20×2, which brings together 20 presenters from different disciplines and backgrounds and gives each one 2 minutes to answer one question. As Technical Director, Mark is responsible for helping each speaker fully realize their two minutes through music, video or other media. 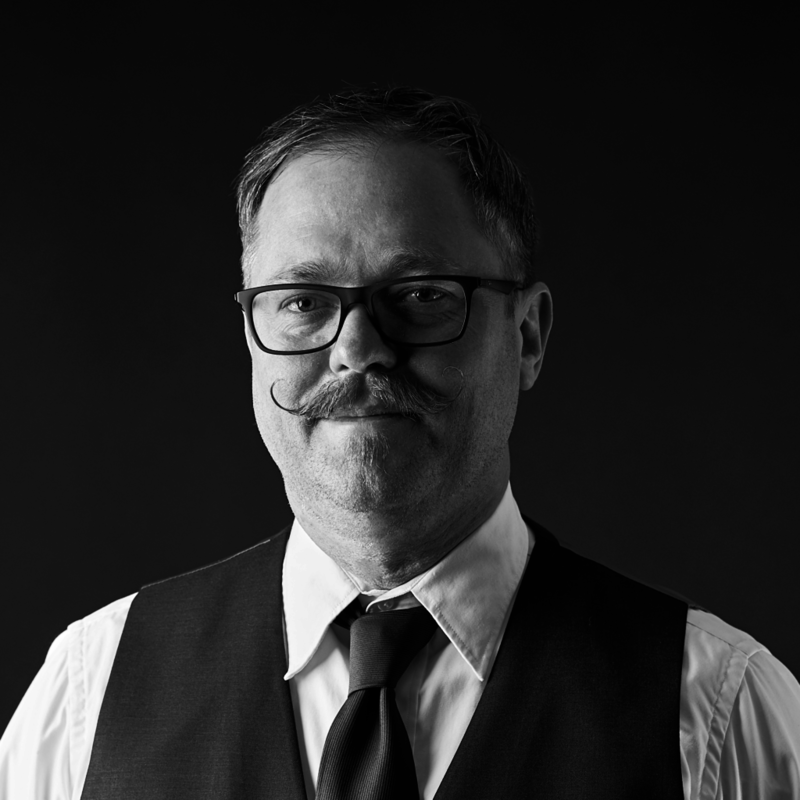 He also is the founder of Gentlemen’s Hamburger of the Month Clug, a fraternal group that explores the best (and worst) of Austin’s hamburger scene. Suit and tie required.